The island of Oahu, the third largest of the Hawaiian Island chain, is steeped in timeless beauty that stands side by side with all the modern luxuries. Wake for an early morning swim on beautiful Waikiki Beach then take in some Hawaiian history and amazing views at the beautiful Nu’uanu Pali Look-out. Continue on to the North Shore of Oahu, made famous world over for its beautiful beaches and surfing legends that frequently compete here. After a day in the sun head into Waikiki for the nightlife. Try cuisine that is unique to Hawaii. The flavors will amaze your senses. In one day experience the city life of Waikiki and Downtown Honolulu and the lush, tropical, relaxed island life. It is no wonder why so many television shows and movies choose Oahu as the perfect location to get that “right shot”. Sail from the coast of Waikiki and visit coral reefs to swim with green sea turtles. And during the winter season, spot humpback whales migrating in the warm waters, and watch for playful dolphins swimming in the wake of your catamaran. Your mid-morning Oahu snorkel adventure also includes an all-you-can-eat sandwich lunch. What's better than an all-you-can-eat seafood and steak dinner? An all-you-can-eat dinner on a yacht as the sun sets in Hawaii! Join this sunset cruise in Oahu, and you'll eat your weight in crab and sirloin while watching a breathtaking sunset and a Hawaiian dinner show that illustrates 60 years of Aloha. See the best of the island of Oahu in one full day that will leave you breathless with a Grand Circle Island tour, which includes visits to Kualoa Ranch and the Dole Plantation. Bring your cameras, as you'll circle the tropical paradise to visit its most scenic and iconic landscapes, from Diamond Head to the North Shore to Hanauma Bay to the Ko�olau Mountains. December 7, 1941 � a day that changed U.S. history when the country was attacked on Oahu�s Pearl Harbor and bravely fought back in World War II. Step back into that time period by taking this discovery excursion to the Pacific Aviation Museum, the Arizona Memorial and Pearl Harbor Visitors Center. 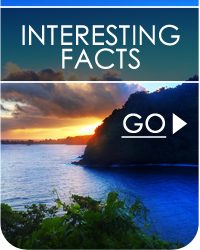 It�s a life-changing experience to visit these history-making landmarks during your vacation in Honolulu. Take in the scenic island of Oahu from a bird's-eye perspective with a helicopter ride. The Blue Skies of Oahu helicopter tour will give you a unique look at the island's hidden rainforests, valleys, waterfalls and coastline, as well as offer sweeping views of Pearl Harbor and Diamond Head volcano. You don�t have to head back to the Honolulu hotel zone to enjoy a traditional Hawaiian luau. Instead, stay on the 12 oceanfront acres of Ko Olina�s Hawaiian Village and take in the award-winning Paradise Cove Luau in Oahu, featuring Hawaiian and Polynesian culture showcased in song, dance, and food as the sun sets in the Pacific Ocean.